At least nine women have been shot to death since Friday in America, many of them by intimate partners and family members. A manhunt concluded in Virginia on January 27 for a suspect who killed his ex-girlfriend along with her brother and husband in Louisiana. After shooting them, he went to his parents’ home, where he shot both his father and mother. Also on January 27, a 15-year-old girl was killed by her 17-year-old boyfriend in Spring, TX. He was reportedly playing with a rifle when he pulled the trigger and shot her. On January 25, a suspect shot and killed five women in a SunTrust bank in Sebring, FL. They were shot from behind by a man who expressed a desire to kill others and himself. The shooter had no intention of robbing the bank and had no known connections to any of the women he killed. That same day, a Pennsylvania man stabbed and shot his ex-girlfriend multiple times in her home and then shot himself. He was “distraught” over their breakup. Americans are buying guns at an alarming rate — in fact, there are more guns than people in the country. White men, in particular, are stockpiling guns with 3% of people claiming ownership of half the firearms in the country. They have a profile: they’re insecure about the job market, they’re worried about providing for their family’s needs, they’re less educated, and they’re “beset by racial fears,” a Harvard University study found. These men want to see themselves in as heroes, and having a gun lets them force that narrative. President Donald Trump and the Republican party are doing their best to give those men something to be afraid of. They have been fixated (to the point of shutting the government down for 35 days) on building a wall that experts believe will do more to keep out Central and South Americans seeking asylum than it will do to solve immigration issues or drug smuggling in the U.S. In fact, many of the people in the caravan Fox News has been terrorizing your grandmother about are fleeing cartels armed with American guns. Shannon Watts of Moms Demand Action started a thread on Twitter of women killed in January by gun violence. Over the span of six tweets she detailed 19 deaths, and it only scratches the surface. The culture of toxic masculinity is why gun violence is a women’s issue: in the last 25 years, more intimate partner homicides in the U.S. have been committed with guns than with all other weapons combined. Having a gun in the home is far more likely to injure someone who lives there than an intruder. Nineteen percent of domestic violence involves a weapon, and the presence of a gun during a domestic dispute increases the risk of homicide by 500%. Seventy-two percent of all murder-suicides involve an intimate partner, and 94% of the victims of these murder-suicides are women. January was a deadly start to the year for women in America. Men shot, and sometimes killed, their wives, girlfriends, and ex-girlfriends all over the country: after domestic disputes in Fort Worth, TX; Sikeston, MO; Springfield, MO; Vicksburg, MS; Middletown, NY; and Sacramento, CA; after she blocked phone calls from an ex she broke up with 2017 in Florida; in a murder-suicide in Tucson, AZ; after he found a video of her cheating in Melbourne, FL; after she asked to modify their child custody agreement in Meridian, ID; as a uniformed police officer left for work Shreveport, LA; for still unknown reasons near Penn State; and after a four-hour hostage standoff in Logan Town, NJ. That’s not even an exhaustive list, it’s just the first couple of pages of Google results over the last month for “girlfriend shot by boyfriend” and “wife shot by husband.” If men were killed by their wives and partners at this rate, it’s hard to imagine it would be considered anything less than an epidemic. 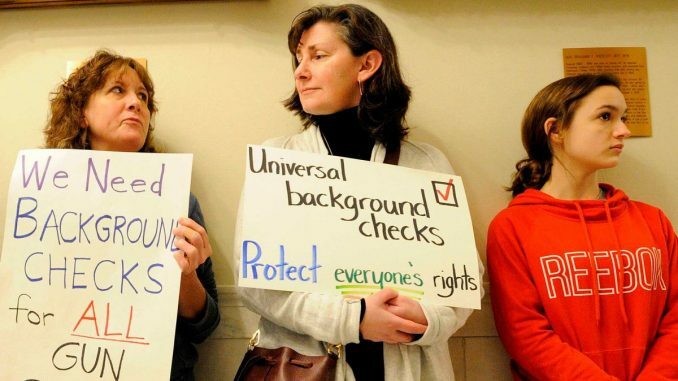 While there has been some gun reform since the 2016 Las Vegas and 2018 Parkland shootings, legislation on the state and federal levels to strengthen background checks and address the loopholes that allow domestic abusers to have weapons is scant. If the Trump administration, and America as a whole, really care about protecting women from violent crime, the focus should be on what is happening on our very own soil. Stay Active Even When you aren’t Exercising!